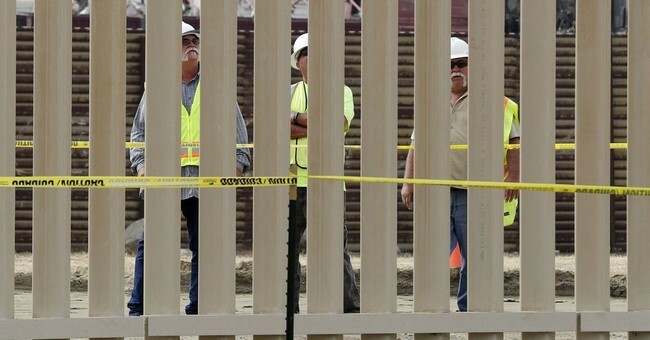 The 9th Circuit Court of Appeals has given President Trump their blessing to proceed with his border wall prototypes along the U.S.-Mexico border. The plaintiffs, comprised of several environmental groups, challenged the Department of Homeland Security's supposed authority to waive environmental and public participation laws to speed their border construction projects. The 9th circuit reaffirmed a ruling by a district court judge in California that DHS did have authority to streamline the building of these sections of the wall. The DHS's authority comes under the Immigration Reform and Immigrant Responsibility Act of 1996, the court explained. Their decision was received well by the Trump administration. “Today the court has affirmed that authority, and that is a victory for the Trump administration, for the rule of law, and above all, for our border security,” Justice Department spokesman Steven Stafford told The Hill. Environmentalists, however, say they have now even more reason to be concerned about the surrounding ecosystems. The 9th circuit is not always so kind to Trump's agenda. In fact, the court has often been a source of derision for 45. He railed against the court, for instance, when it blocked his ban on asylum for migrants entering the U.S. illegally in November. "You go to the Ninth Circuit and it's a disgrace, and I'm going to put in a major complaint," Trump said at the time. Trump plans on doing something about it. He recently released a list of judicial nominees, with a few names for the 9th circuit.